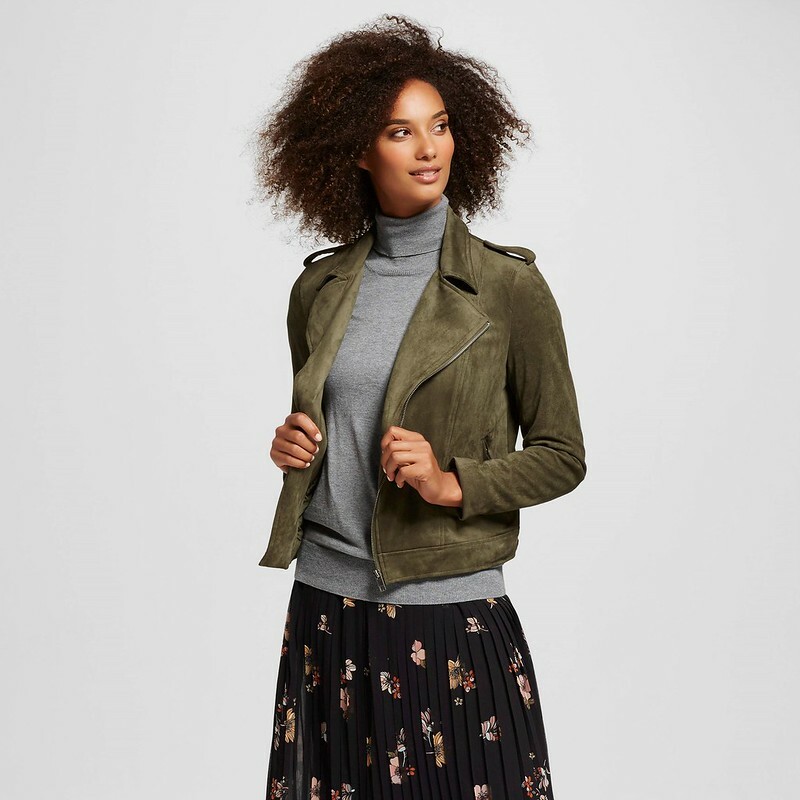 Two thumbs up to this faux suede moto jacket from Target’s ongoing Who What Wear collaboration. I held off on posting this for a few weeks because it was sold out online. It appears to be back in stock for most sizes. It looks like suede, is supersoft, and doesn’t come with the maintenance costs of real suede. Sizing is TTS (I take my J.Crew size). I layer it over this Uniqlo sweater in olive. It also comes in plus sizes. This jacket is pricey for Target. I got it on sale but would buy it at full price in a heartbeat. If you like shoes, make sure to check out the latest additions to this collab — most of it is too trendy for my taste. This bright Merona red/blue plaid blanket scarf also gets a honorable mention. While a 100% acrylic scarf is far from luxurious, the price is great, it’s warm, and it has a red/blue plaid print that matches most of my outfits. There are two stackable promotions right now: use code COLD through Thursday for 25% off (good for cold weather wear) and code STYLE through Saturday for $10-25 off if you purchase $50+ (applies to all clothing).